Are mice nocturnal? The sleeping habits of a mouse. Imagine yourself lying in bed at night, just about to fall asleep, when a strange noise catches your attention. Perhaps you tell yourself, “It was just the wind.” But you can’t ignore the series of skittering, scampering, and scratching sounds for long. 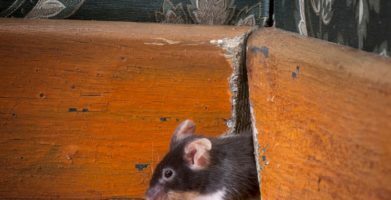 You might be surprised to know that a little house mouse can make a mighty big ruckus, and their favorite time to do this is usually when you’re looking for a little peace and quiet. We’ve got answers to your questions like: when do mice sleep, where do mice sleep, and what to do if there’s a mouse in the house? Are Mice Nocturnal? When Do Mice Sleep? Just like you and me, mice need to sleep, but their sleeping habits are a bit different than ours. When it comes to the question of mice being nocturnal, or most active at night, the answer is complicated. Their sleeping habits depend on the environment of the mouse. Mice are most active when the least danger is present. For mice in the wild, they are usually most active around the hours of dusk and dawn. The low light conditions at these times offer mice the most protection from predators. However, a house mouse is usually most active at night, when the people of the house are sleeping. Mice have very poor eyesight and are sensitive to bright lights. This is another reason why the dusk and dawn hours are prime time for rodents. Instead of relying on their vision, mice use their sense of touch and smell to find their way around, making it easier to navigate even in the dark. Mice tend to maintain a small territory, usually traveling only 10-30 feet away from their nest for food. They sleep in a nest they make from any materials they find. Things such as stuffing from a pillow, blanket, or stuffed animal all work well, but as mentioned earlier, they can also shred different items with their teeth to make it suitable for nesting. A cluttered area with junk mail, cardboard boxes, or other scrap materials is a dream home for a mouse. Not only will it be harder for you to notice them, they will have plenty of places to build a cozy nest where they can sleep soundly and get everything they need. Are Mice Sleeping in Your Home? Mice aren’t potty trained and they’ll leave their droppings behind to let you know they’re here. Look for small black pellets, similar in size and shape to rice. Mice chew constantly. One reason they chew is because their teeth never stop growing; they need to gnaw to wear down their teeth. Other reasons mice gnaw on different materials is to make soft bedding for their nests, to sample different foods, and to create entry or exit points. As mentioned above, rodents rely heavily upon their senses of touch and smell to navigate. In the process of feeling their way around, they leave greasy rubbings or smudge marks along frequently traveled paths. These marks also contain scent markers, or pheromones, that are only detectable to mice. Look for these markings at ground level, along baseboards, door frames, and furniture. Knowing more about the habits of mice can help you fix and prevent these pests from living in your home. You don’t have to keep losing sleep over these freeloading houseguests. Learn about the what mice eat to help clean up what attracts mice the most. Mice have very poor eyesight and are sensitive to bright lights, so typically they aren’t very active to the day. While they aren’t entirely nocturnal, they spend a good portion of their day sleeping– up to 14 hours a day! That being said, the sleeping isn’t out of the ordinary, but it definitely sounds like you’ve got a friendly house guest on your hands. 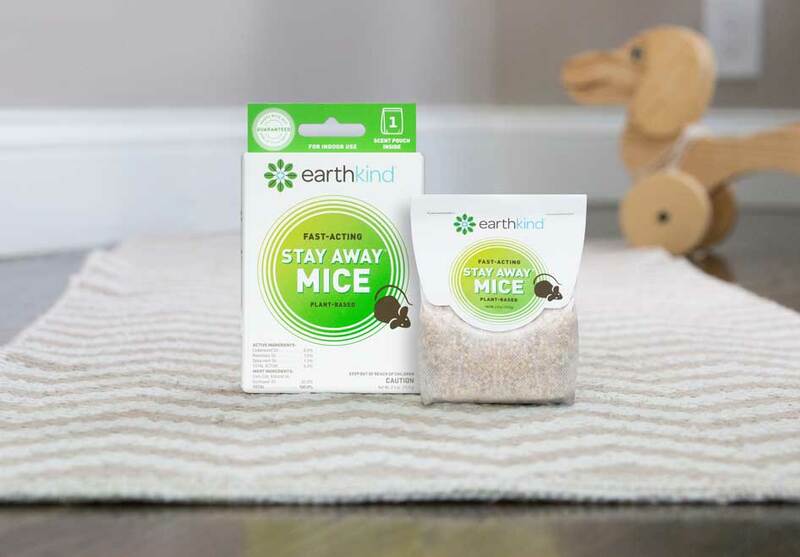 It is hard to say whether he has been wounded or exposed to any toxins, but here at EarthKind we are all about preserving the good, so we agree with you to spare your little friend the fate of the mousetrap! With the familiarity you’ve established, capturing him and releasing him back into the wild is an option, or you can give Fresh Cab a try if you want to encourage him to find a new home. Thanks for reading! Keep in mind that, the active ingredient in Fresh Cab is balsam fir needle essential oil. Additional essential oils, including lemon, eucalyptus, and cedar wood, are added for a mixture that is pleasing to humans. This particular smell activates avoidance behavior in mice, causing them to leave the premises. Mice already living in the area will leave, too. We hope you find this information useful. Please feel free to contact our Customer Care Team (customercare@earthkind.com). We are here to help! We have bee hearing rustling sounds at night. Weve been leaving sealed tortilla wraps on thw side, this morning i found the packet, empty with the packet torn open around the two edges and found under the kitchen table and the 4wraps gone. There didnt seem to be any traces of crumbs anywhere! We have cardboard boxes under thw table but they have been left alone and we can’t find any evidence of droppings. I am certain ita a rodent but my partner doesn’t think so. What do you think?? That sounds very mysterious – and annoying! It’s hard to speculate what the critter might be without more information, but you can certainly take some precautionary measures. Carefully inspect your home for any openings around doors, windows and utility lines. Fill any holes you find with steel wool and silicone caulk. Of course, keeping a few pouches of our botanical rodent repellent will give you added peace of mind while you solve this mystery. so a week ago we caught one mouse. it was pretty easy. now there is new one im my room. first i heard like there was some biting and then, last night, i saw him. we set a trap but it is still a daytime. i heard they like chocolate? should i put some near the trap? 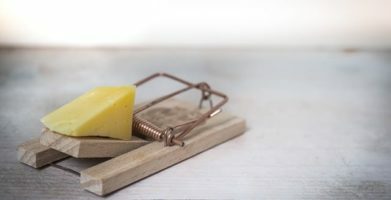 Mice can eat pretty much anything, but we would suggest that if you do not want mice in your home, you shouldn’t put any food out at all — not even on a trap. Instead, check around your home for any food that might be luring mice in and make sure it is stored in a sealed container. Don’t forget about pet food, mice love it! Look for any holes or openings mice may be using to get in and out of your home and seal them with steel wool and silicone caulk. Then place rodent repellent pouches in the areas you wish to protect from mice. My daughter has twin babies and noticed stuffing on the floor and didn’t think of anything she thought maybe the kids ripped something they are two. She didn’t use the car for two days to find out they chewed both car seats ate some of the floor mats and ate a hole in the the seat of the car. We had the car cleaned and we set traps they ate the peanut butter and move the st my traps. Help!!! 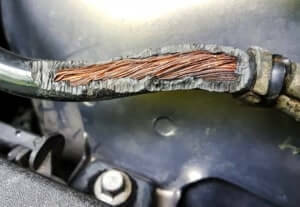 Getting rid of mice in a car can be tricky! 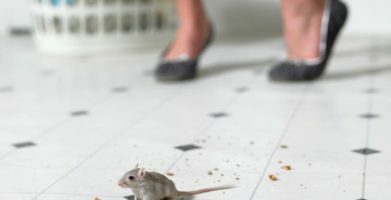 Make sure to review the CDC guidelines for cleaning up after mice, and keep an eye out for any signs of rodent related illnesses. Once the car has been cleaned, add a pouch of Stay Away Mice in the trunk. If your daughter and her kids enjoy the scent, you can keep a pouch in the glove box or under the seat as well. If the vehicle is stored in a garage, place pouches inside the garage as well. Thanks for reading! Glad to hear you’re able to keep sense of humor during these trying times! Hope you get the little pest! Once you know he’s gone, make sure to prevent and protect your home from future rodent issues with a repellent like Stay Away Mice. Thanks for reading! I am deafly afraid of mice,allergic,and will not be in the same room,if so I would not be in the same house as them! People don’t get that, so I have to have to have a sure fire remedy for getting rid of them permanently,and without seeing it or disposing them. I once left a mice in trap until someone , anyone got it out of the house!! HELP ME! And does peppermint do the trick ! Peppermint can repel mice, but the way you use it will make a big difference. If you put peppermint oil on cotton balls, the scent will wear off in a few days. Once the scent wears off, mice might be attracted to the cotton balls because they make good nesting material. If you mix peppermint oil into a room freshener spray, you will need to spray daily to repel mice. Our rodent repellent pouches have been tested and proven to last 30 days (some customers report that they last even longer). Stay Away Mice does have a minty fragrance, along with cedarwood and rosemary which is highly effective for repelling mice indoors. We’re wishing you a mouse free future! Please don’t hesitate to reach out with more questions. Just like you and me, mice need to sleep, but their sleeping habits are a bit different than ours. When it comes to the question of mice being nocturnal, or most active at night, the answer is complicated. Their sleeping habits depend on the environment of the mouse. Mice aren’t potty trained and they’ll leave their droppings behind to let you know they're here. Look for small black pellets, similar in size and shape to rice. string(50) "Are Mice Nocturnal? The Sleeping Habits of a Mouse"